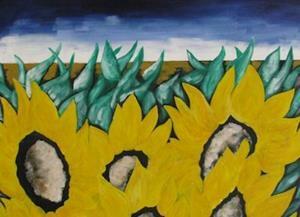 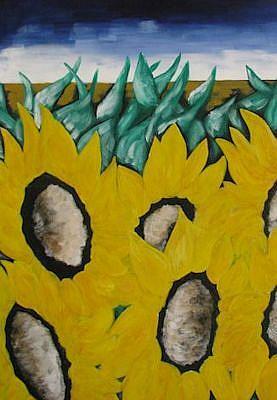 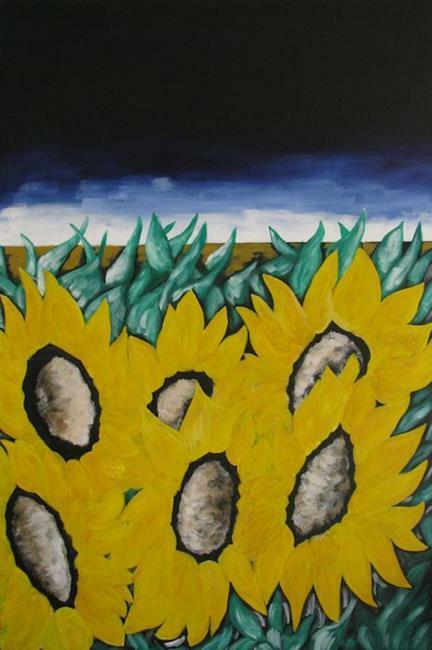 Original acrylic painting entitled "Stormy Sunflowers" on acid-free cotton/polyester stretched canvas. 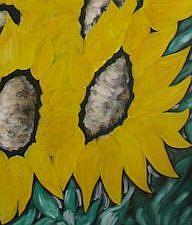 This is an original painting by Indiamoss, not a print or reproduction. Included with this item is a Certificate of Authenticity signed by the artist and it comes ready to hang!